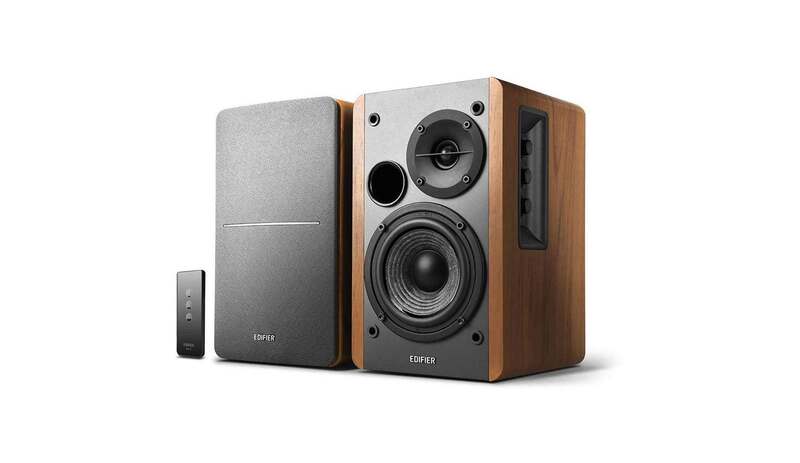 Edifier R1280T – this is our answer if you’re asking us to recommend a set of powered bookshelf speakers with decent audio performances, which do not cost too much. These speakers deliver awesome sound in a wide range of frequencies, including those really low ones. In fact, thanks to the fact that they come with 4-icnh bass drivers, Edifier R1280T create powerful bass that guaranteed to give you put a smile on your face, no matter how big of an audiophile you consider yourself to be. Edifier R1280T are also amazing when it comes to playing mids and high, delivering uncompromised quality of sound. Vocals sound truly awesome, while there are no distortions even when reproducing high-frequency notes. And if you still haven’t fallen in love with Edifier R1280T, you should know that it’s not just the audio performance that’s making these speakers a great choice. It’s also their design. 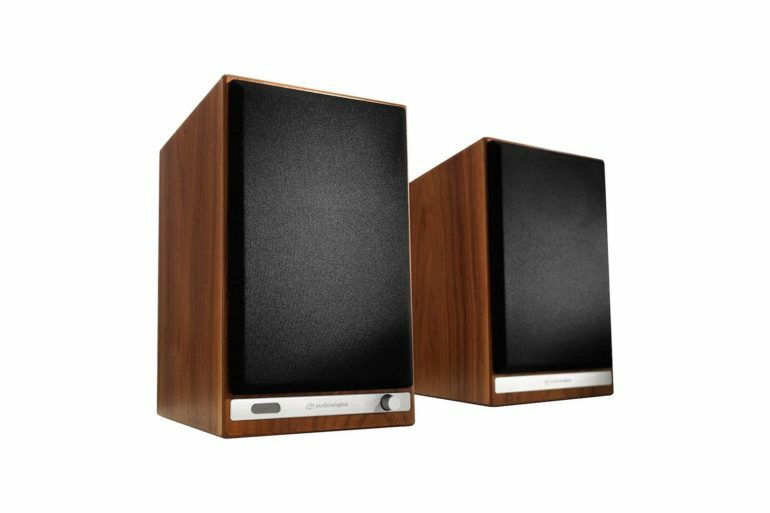 Edifier R1280T are bookshelf speakers in a true meaning of the term. Their design is inspired by the look of the loudspeakers from the golden days of radio, but this does not mean that they look retro. On the contrary, they look pretty modern, yet still very elegant. And that means that they won’t stand out in your room, at least not in a bad way. Furthermore, the dimensions of these speakers are pretty compact, so you should have no problems finding space for them. And connecting them to your computer, TV, or a turntable is really piece of cake. One of the speakers is active, that is, comes with a built-in amplifier, so there’s absolutely no need to do any technical work in order to get the best of them. In fact, you just need to plug them into the desired device and your job is done! Obviously, even after reading only a few paragraphs of our Edifier R1280T you see that we’re very much in favor of these speakers. But, if you’re still not sure they good enough for you, it’s best if you take a little more time to learn more about them. So, let’s start with their design and how it affects their audio performances. Edifier R1280T bookshelf speakers are among the best-selling loudspeakers on Amazon and of the reasons why that is the case is that users love their look. Whether you’re a fan of retro style or you prefer modernist design, the chances are that you’re gonna fall in love with these speakers. We got to hand it to Edifier engineers for designing such an attractive pair of speakers. They created speakers that are almost neutral in appearance, but which still give an impression of immense power. And the fact that they’re almost entirely made of engineered wood and plastic does not mean they look cheap. Actually, just the opposite is the case. Speaking of the materials used for the construction of these bookshelf speakers, Edifier used MDF and plastic to reduce the cost. The result is not that the speakers are less sturdy or less durable. Actually, the only result of this is that they cost cheaper than their competitors. Now that we’re on the subject of built quality, you can be sure Edifier R1280T won’t cause you any annoyances, including minor ones like loose screws for example. Even if you play your music loudly, you have nothing to worry that the vibrations would cause the speakers to fall apart. 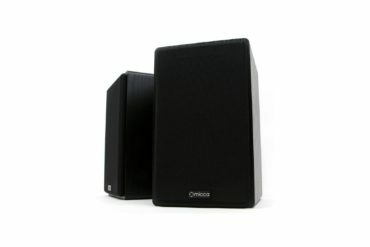 One of the biggest problems with budget or even mid-range speakers is that their bass performances aren’t good. When you turn up the bass knob to the maximum, the balance goes off, ruining your entire experience. But, this isn’t the case with Edifier R1280T. The speakers do a really fine job when playing low-frequency audio and the balance changes are almost minimal even when you turn up the bass without increasing treble. Even when it comes to sub-bass notes, Edifier R1280T perform well. You can feel free to turn the volume up, no distortions will occur. Speaking of volume, these speakers can be really loud if you want them to. Studio-grade sound quality – Each speaker features a 4 inch full range driver and a 13mm silk dome tweeter. The result is that Edifier R1280T can deliver top-class audio in an extremely wide range of frequencies. 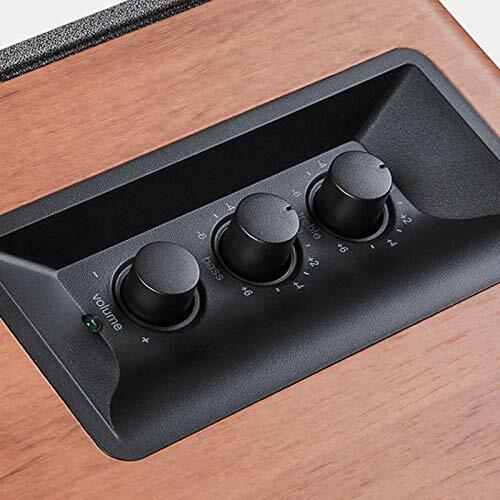 Speaking of frequencies, Edifier R1280T can play sounds in the range between 75 Hz – 18 KHz. Remote control – There’s a remote control included in the package, which you can use to turn the volume up or down. If you want to adjust bass and/or treble, you will have to do it using the controls on the side of the left side of the main speaker. 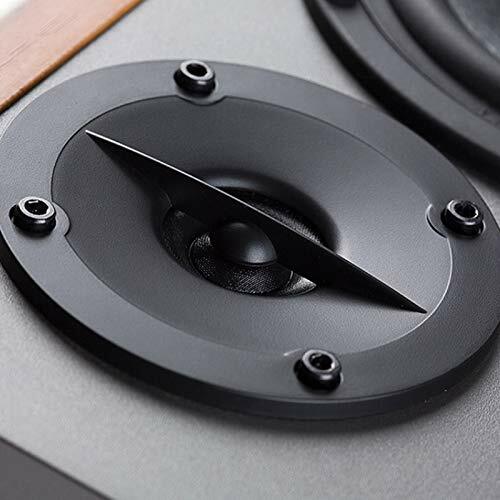 MDF wood enclosure – MDF is a type of engineered wood that’s commonly used for the enclosures of speakers because it helps with curbing down distortions. And in the case of Edifier R1280T, it also makes the speakers look lovely. Compact size – The two speakers that come in the set are identical in terms of dimensions, which are 5.75 x 9.5 x 7 inches (weight x height x depth). 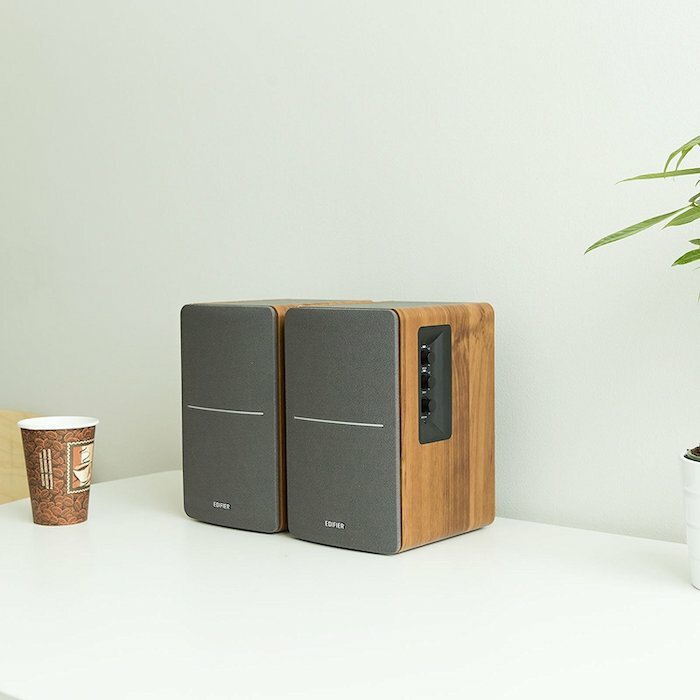 2-year warranty – Edifier is giving a 24-month warranty on this set of speakers for users living in USA or Canada. Impressive audio quality – Not many bookshelf speakers out there can deliver such impressive audio quality as Edifier R1280T. And the best thing is that these speakers do it in a really wide range of frequencies. You’re guaranteed to be pleased with their mids and highs, but also with their bass. Impressive bass – Bass created by Edifier R1280T deserves its own bullet point. 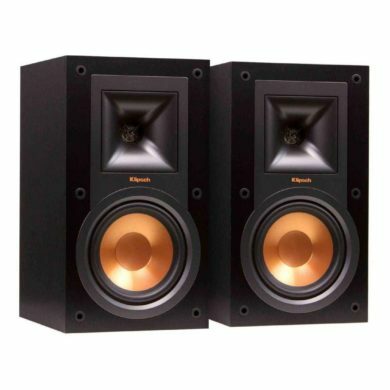 It’s deep and powerful, yet it doesn’t ruin the balance, something which is a problem with many other bookshelf speakers. Eye-pleasing design – We can’t find enough words to explain how lovely these speakers look. Their real charm lies in the fact that they look both retro and modern at the same time. So, it’s not a surprise that everyone seems to like them. Sturdy build – These bookshelf speakers are built to last for a long time. That’s why it’s not a big surprise that the manufacturer is giving a 2-year warranty on them. We think that the chances are slim that you’ll have to use that warranty, as Edifier R1280T don’t break easily. Feel free to push them to the limits as these are some super-resilient speakers. Ease of use – The speakers are compatible with a variety of different devices. In fact, you can connect them to almost any audio-playing item, without the need to buy any extra adapters. Affordable price – Edifier R1280T deliver high-end performances, but their price is pretty low. In fact, if you buy them on Amazon, you won’t have to pay more than a hundred buck. 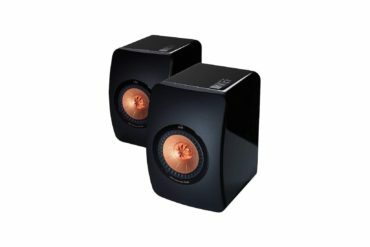 None – Sure, they might not be suitable for use in professional recording studios, but these speakers do deliverer very high standard of audio quality. Therefore, they have our utmost recommendation. Sure, there might be a couple of things we would improve, but they’re so minor we don’t think they’re even worth mentioning. 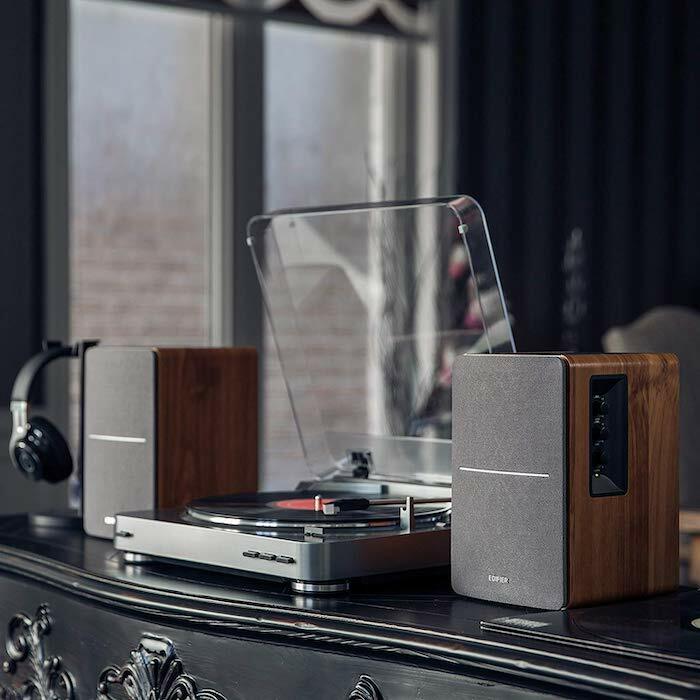 Edifier R1280T are available only in one design – wooden enclosure with dark gray front. If you feel that this design wouldn’t fit in with your furniture, you may find a suitable alternative among other Edifier speakers. 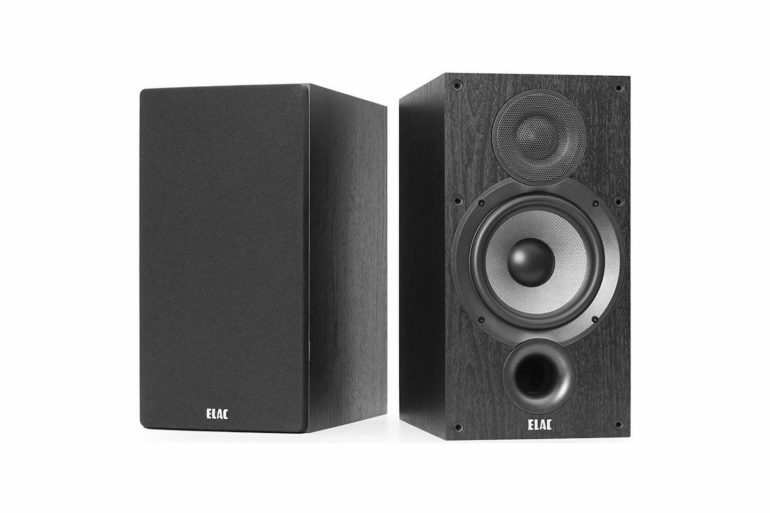 The Edifier R1280DB seem like a decent choice. Their all-black design makes them classy, while their audio performances are similar to those of Edifier R1280T. The only major difference is that they’re more expensive. If design is not the reason why you want to look for Edifier R1280T alternatives, but performances, you can take a look at some beefier speakers like Edifier S1000DB, for example. And if you’re looking for some speakers that are even cheaper than Edifier R1280T, our suggestion is Edifier R980T, which is one of the cheapest active speaker sets you can find. Apart from the bookshelf speakers manufactured by Edifier, you can also take a look at what some other reputable brands have in their collections, like Polk Audio, for example, whose T15 bookshelf speakers might interest you. In all honesty, we can say that Edifier R1280T bookshelf speakers would get our recommendation even if their price were several times higher. That’s how good they are! And they’re good in literally all aspects. Not only are they fantastic when it comes to their audio performances, but these speakers also look very nice and are constructed to be tough to break. They’re sturdy and durable, and even come with a 24-month warranty. They’re also very easy to use; you can connect them to a PC, laptop, mobile device, turntable or any other suitable device, without using any additional adapters. And you also won’t have to spend any money on additional amp, as one of these speakers is powered. The final reason why these speakers might be your best choice is that they do not cost much. In fact, we can say for certain that you won’t be able to find better bookshelf speakers at such a low price!